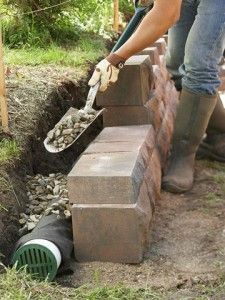 I’ve been wanting to build a retaining wall in my backyard for so long. My yard is a great size, but it’s on such a slant that it’s hard to use. I really appreciate your step by step instructions. I feel like I might even be able to do a project like this on my own. Do you think that’s possible? If I can avoid paying someone to do it, I’d like to do so, you know?